Are The Flaming Lips Releasing a 30th Anniversary Chocolate Skull with Edible Goo Brain and Colored Vinyl This Month? UPDATE – It’s confirmed: The Flaming Lips are re-issuing their 1984 debut EP on November 29th, the same day they release the 12″ split EP with Tame Impala Peace and Paranoia at indie record stores, Peace Sword on vinyl and CD, and their Stone Roses tribute album The Time Has Come To Shoot You Down…What A Sound. The 30th anniversary edition of their debut EP will be pressed mostly on translucent green and red 12″ vinyl but a subset of about 100 will be special designs by New Fumes – packaged in a plexiglass box with the skull and brain previewed below. The Lips are also commemorating their 30th anniversary with 7″s of their first and second demo tapes. The latest details on all three 30th anniversary vinyl issues are here, but you can get a pretty good idea of the packages just by scrolling down and glancing over the pictures in this post. The Flaming Lips turned 30 this year and to celebrate they’ve played a few career-spanning sets featuring songs they haven’t performed in years – or in some cases, ever (“Bag Full of Thoughts,” “Love Yer Brain,” “Unconsciously Screamin’,” “You Have To Be Joking,” “Moth In The Incubator,” “Riding to Work in the Year 2025”). There’s also been talk of a special reissue this year to commemorate the anniversary. With just seven and a half weeks left in 2013, if it’s coming, it’s coming soon. Which isn’t to say it is coming. To be clear, there have been no announcements of new releases after the Peace Sword EP vinyl and CD issue on Black Friday (November 29th). But there’s been several signs all pointing to the suggestion that not long after that a 7″ of their second demo tape – possibly as part of some sort of skull – will be up for grabs. For over a year Wayne Coyne has indicated that The Flaming Lips are planning a 30th anniversary special re-issue of some sort. Want proof? 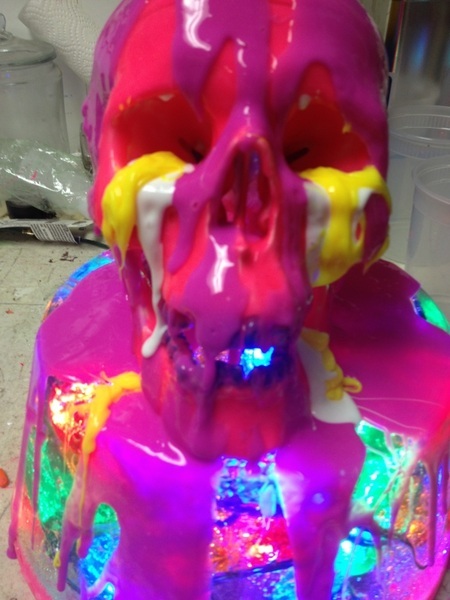 Below is the “drippy skull lamp” he was working on in early October 2012. Flaming Lips projects since Embryonic are typically created fast. Their 24 hour song “7 Skies H3” for instance was made from scratch in a couple of weeks. What does it mean that the gestation period of the 30th anniversary skull (or whatever it will be) is so long? Fast forward eleven months to this September and Wayne was working on a “white chocolate, colored vinyl, plexiglass box, edible brain, 100 copies of exclusive vinyl (yet to be determined)” package to be “available for Halloween and Record Store Day,” according to Daniel Huffman. Which is another way of saying the plans were still being formed and it wasn’t decided yet exactly what would be on the vinyl or when it would be released. It still hasn’t been confirmed what it will be, though we can cross Halloween off the list of possible release dates. But does that mean it will be out Record Store Day by default? Maybe. Maybe not. Fireworks? Oh nevermind about that. Could it be Daniel’s remark about a possible Halloween release of the chocolate skull and brain vinyl package was accurate – just pushed back a month to the most wonderful time of the year? Could it be by Record Store Day he didn’t mean the main date that comes every April, but rather the smaller Black Friday incarnation? At around the same time as the chocolate skulls and goo brains pictured above were being designed the Lips searched for a rare 4-song cassette they recorded in 1983 – even asking fans for help in the effort. No reason or further explanation was given however. Could it be they needed to find this tape to remaster it for a 7″ vinyl package to be issued alongside the chocolate skull Wayne mentioned to Brenna, to be out after Thanksgiving? Two weeks ago the Lips’ twitter was hacked. No big deal really, this happens frequently (see Britney Spears tweeting “Glory to Satan” or Lady Gaga “giving away” free iPads for example). 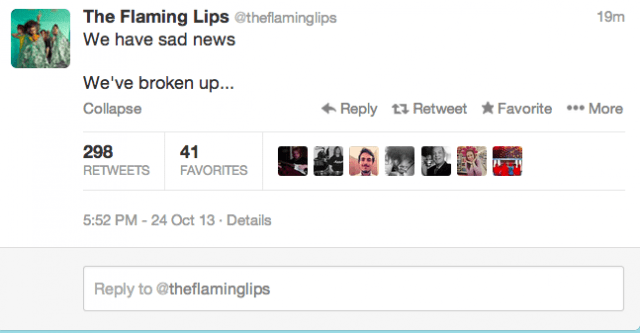 In the short amount of time the hacker had control of the Lips’ account a band break up announcement was tweeted, followed by “just joking.” From his personal account Wayne confirmed the feed had been “hijacked,” followed by the Lips jokingly tweeting “that last announcement was a bit premature” (since they hadn’t broken up). The hacker’s tweets were deleted and end of story. Yep, no big deal. Except this is precisely the type of no brainer click bait music “news sites” rely on for traffic. Surely far more people knew about the Lips’ hacked “breakup” tweet from the reports on msn, mashable, uncut, rollingstone, buzzfeed, yahoo, thisisfakediy, thelineofbestfit, and spin than from actually seeing it live on twitter. Even theguardian got in on the action. The entire episode was over within a half hour. It was a complete non-story, but anything involving the possibility of a break-up is tantalizing… and so one quickly thrown together report after the next about the Lips not breaking up was published. What all of them missed is that something did actually come out of this: a previously unseen logo for their 30th anniversary included in the real tweet that followed the fake hacker tweets. 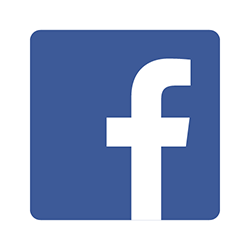 Now why did the Lips just happen to have that design on hand within minutes of getting hacked? Could it be because it’s artwork for upcoming releases? The Flaming Lips twitter has been hijacked!!!! So it’s confirmed – the Lips are making at least one 7″ of their second demo tape. But making only one copy doesn’t make sense. Why not make 2000 of them and issue some with the frogs. Why not release 30th anniversary items with those white chocolate skulls? I mean, who wouldn’t want a goo brain for Christmas? The stocking stuffer potential is unlimited! Could it be the skull first tweeted about in 2012 morphed into the chocolate skull and edible brain with multi-color vinyl package Huffman and Coyne were working on in September? And that it’s the same as the re-issue he mentioned to Brenna coming after Thanksgiving? And it will be issued alongside the frogs and the cassette the Lips were searching for with the 30th anniversary logo they had handy when they were hacked? I really hope this comes out! Love all of this. Thanks for putting the (apparent) pieces together.